This event that I and my husband are relating was the beginning of our opening our hearts to believe in God in reality, because up till then, we only listened to God's liturgists with denial and criticism. My husband, furthermore, had the opinion that there was no God. This was a great event that confirmed to us how wrong we were, and what a mistake we made, and opened our eyes to see the true road, the road to God. Our son Sotiris was born on September 19th, 1994. We had decided that when the child had completed forty days of age, I would go to church to get a blessing, like normal, after the exhortations of our immediate family members. I did not go on my fortieth day, but the next day was a Sunday, October 30th, 1994. However, as careless and naive people that we are, though I awoke at 7AM to get ready, after, I lied down again and fell asleep. Thus, I awoke later with my husband, and we leisurely got ready and left for church. When we went to the first church, the Divine Liturgy had finished, and there was no priest to give the blessing to the child. We left and went to another church. We visited the churches that we knew in the towns of Peristeri, Chaidariou, and Aigaleo. Some churches were locked, others were open, but the priests had left. I, however, insisted, and said to my husband that "Today, Sunday, he should get the blessing." Around 2PM we reached the Holy Church of St. Spyridon in Aigaleo. My husband said that we should abandon our endeavor and go the next day to get the blessing, however, I insisted. I saw the door of the church half-open, and I told him: "This will be our last try". Thus, we entered the Holy Church, myself with my baby in my arms, and my husband. The polyeleos before the Royal Doors was lit by electricity. One priest was sitting in the rear stasidia on the women's side (today the stasidia have been replaced by chairs). He was very old, and because I did not want to bother him, I went to the priests' office within the church, in a renovated place to find another priest to give the blessing. There was no one in the office. I looked throughout the whole church, and there was no one else except for the church warden. Then, the sole, elderly priest that was sitting, turned his head towards our direction and asked: "What do you want?" "Father," I said, "I wanted my child to get the forty-day blessing, but we were running late today." "I will do it," he said, and stood up. Then we beheld a tall man, elderly, with totally white hair and beard, wearing a white robe. He came towards us slowly, because he was elderly, but also very peaceful. He took the child in his hands, and we lost him within his arms. He said the prayers by heart, without reading anything, and went to pass throughout the Holy Church. He entered the Holy Altar through the central door, and exited through the left door. He came back to our place, and gave us back our child, and said three blessings (not "na sas zesei" [literally, may he out-live you], but very moving prayers having to do with the future of the child, which, because of our not showing the proper attention, we have not remembered to this day, neither me nor my husband). We received the child, and left feeling lucky that we were able to have the forty-day blessing. After some time, we reached the store that we have in Aigaleo, where we work with a trustee of the Holy Church. We struck up a conversation and we told him: "You have a very good priest in your church." And we began to describe the priest that we thought that we had seen. "We don't have a priest like that," he replied. After, he asked us, "Do you know Fr. (same)?" "No, we don't know him." When we said that he was wearing a white robe, he shed a tear, telling us that a simple priest does not wear a white robe, but only in certain circumstances. Furthermore, he told us that the church is usually closed those hours of the day, because everyone is tired from the morning Divine Liturgy, and they also usually go to the church later in the evening. He said: "Only Christ and the Saints have the right to wear white robes, and because of this, you should pray and thank God." And he left. Then we immediately thought to visit the priests of that church one of the next days to find out who that priest was in reality. Before we were able to go, a woman came to our store, who had never been there before, and who has not returned since. She was speaking continuously, and no one could stop her (And it was noteworthy that there were other customers in the store). She observed a small icon that we had been given of St. Ephraim, which we posted in a conspicuous place, and said: "Ah! You know St. Ephraim? Take another icon," she told us. And before I could say anything, she grabbed my hand and placed in my palm a small icon. I looked at it. 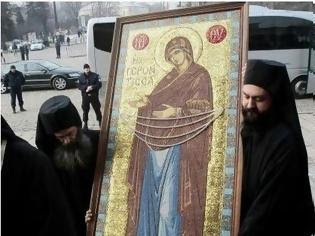 It was an icon of St. Spyridon. I waited for this unknown woman and the rest of the customers to leave, and I asked my husband: "Do you remember the priest who did the forty-day blessing for our Sotiri?" He said yes, and I told him to look at the icon of the Saint. He agreed enthusiastically, "that's him." We therefore went to the church of St. Spyridon, and again saw St. Spyridon in the large icon in the church. It was the same Saint whom we had met. We mentioned this wondrous event to the priests. And the managers of the Holy Metropolis of Nicea, to which the church belongs, also learned of this. 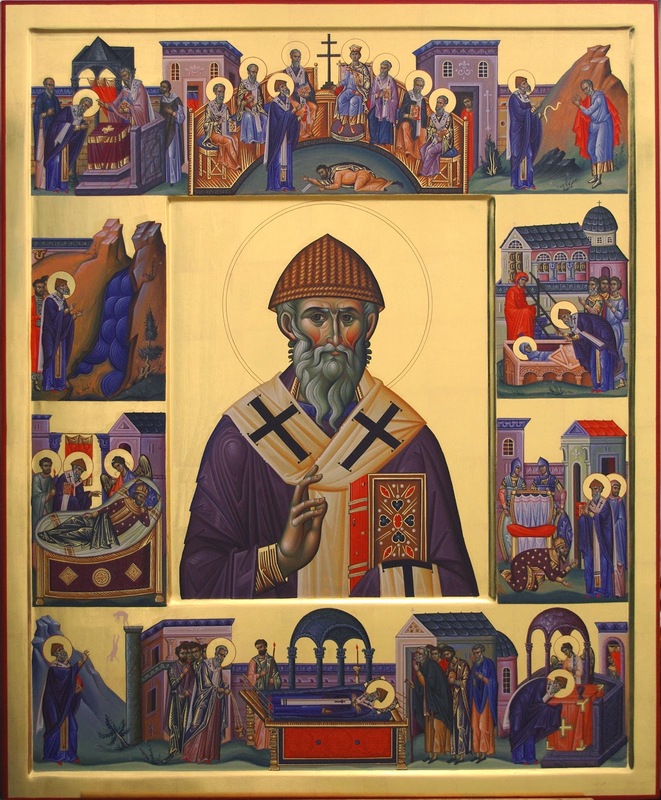 One Sunday, at this church, one of the priests mentioned this wondrous event of the appearance of St. Spyridon during the sermon in the Divine Liturgy, without of course mentioning the names, saying to the faithful that miracles still happen in our days, as long as we open our eyes and our souls. And in reality, he was totally right. If we open our hear and seek for God to come into our lives in reality, then He will help our every step, in every moment of our life. To this day which I write these lines, my son has completed his 14th year, and he has grown handsome, peaceful, bringing us every joy that we have him near us. May God every grant him enlightenment! I and my husband wanted to record our personal witness, which relates one of the miracles that still happen in our days! Christ has risen from the dead, by death he has trampled on death, and to those in the graves given life! The following speech by Metropolitan Ierotheos Vlachos was offered in Levkosia, on the occation of the celebration of the feast of the new Holy Church of the Wisdom of God, the largest church on the island of Cyprus. In three parts, he discusses the identification of the "Wisdom of God" with Christ, the Churches of "Holy Wisdom", and the Feast of Mid-Pentecost. It is a fundamental teaching of the Fathers of the Church that the difference between the Old and the New Testament is that, in the Old Testament are recorded the appearances of the bodiless Word, the Angel of Great Counsel, the Wisdom of God, while in the New Testament is recorded the revelation of the incarnate Word. Thus, one of the names of Christ is the Wisdom of God. Often it is said that in the Old Testament, Christ is characterized as Messiah. But this is not correct, because in the Old Testament, the Messiah was, as the word means, “the anointed one”, and this is offered to the kings and the Prophets, who were called by God and anointed for a special mission to Israel. Thus, the Messiah in the Old Testament was man. However, the Second Person of the Holy Trinity, in the Old Testament is characterized as the Angel of Great Council, the Wisdom of God. Foremost, the name “Wisdom of God” is met in the Proverbs and Wisdom of Solomon, and is attributed to Christ. Thus, Christ is not the Messiah, in other words, a man who was [solely] born from the Panagia, but was the incarnate Word, Who took on human creation with the incarnation, which was anointed by the divine creation and became the Messiah in order to save the human race, and to deliver from the devil, death and sin. Fr. George Florovsky offers that “the identification of 'Wisdom' as one of the names of the Second Person of the Holy Trinity became a common theme in the homilies and theology of the Fathers. Origen perceived the name 'Wisdom' as the first and primary name of the Son (On John 10:22). 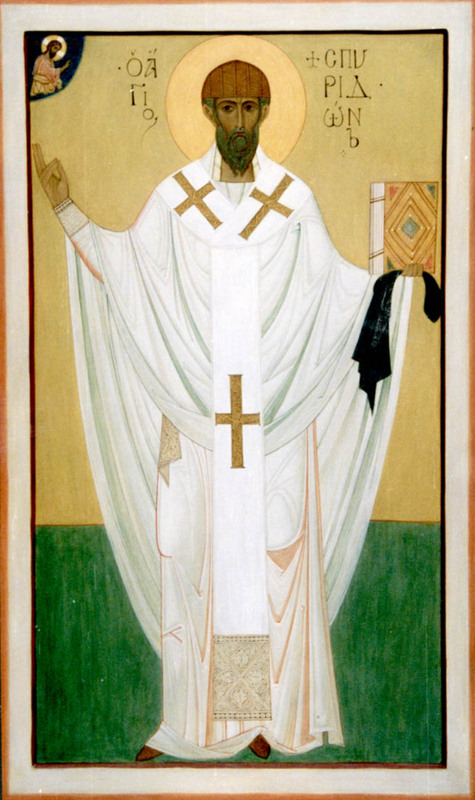 And 'Wisdom' and 'Power' were commemorated in the Symbol of St. Gregory of Neo-caesarea. In the 4th century, the Arians and the Orthodox agreed that thee Holy Wisdom that is mentioned in the book of Proverbs was the Son of God”. The wise Solomon, praying to the God of the Fathers and the Lord of mercy, among other things, says: “Give me wisdom, that sitteth by thy throne; and reject me not from among thy children...And wisdom was with thee: which knoweth thy works, and was present when thou madest the world, and knew what was acceptable in thy sight, and right in thy commandments. O send her out of thy holy heavens, and from the throne of thy glory, that being present she may labour with me, that I may know what is pleasing unto thee. For she knoweth and understandeth all things, and she shall lead me soberly in my doings, and preserve me in her power. So shall my works be acceptable, and then shall I judge thy people righteously, and be worthy to sit in my father's seat.” (Wisdom of Solomon 9:1-12). 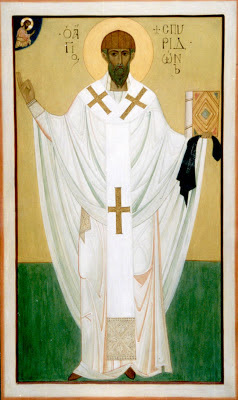 It is sure that the wise Solomon here is speaking of the Second Person of the Holy Trinity, which is the Wisdom of God the Father, and Who is beside the throne of the glory of God, and at the creation of the world, and he is asking Him to send Him to him in the direction of his service. For thirty and eight years an ancient and incurable illness continually scourged him, but neither did he lift up his hand to do evil, nor did he offer up a blasphemous word, nor did he condemn those who were near him, but bravely, and with his great graciousness, he was brought to the pool. And why was this said? For does not the Scripture speak clearly of the life above, when is said that he had his infirmity for thirty-eight years? It wishes to say that he did not lift up his hand towards evil, nor was he enraged...and no one came to him. And when this is said, pay close attention, and not disdainfully nor simply. When he heard Christ coming to him, and he truly did not know Him, but thought that He was some tall person, and after this He spoke to him, and before them He wished to show his philosophy. For He said to them: “Do you wish to be well?”, he did not say to Him, “You see me lying here for so many years, and you ask me if I want to be well? Have you come to ridicule me and laugh at my misfortune, and make a comedy of these events?” He did not say words like this, but he said with graciousness: “Yes, Lord.” For after thirty-eight years he was meek, and gracious, and his vigor characterized him, and the strength of his thoughts, and he appears as one who is in the beginnings of troubles. For there is a difference between those displeased ones in the beginning of their illness, and those after the passage of time. For then the sick lift up their hands to do evil, when after time their illness becomes totally unbearable. After many years neither do they philosophize, nor are they noted to be inscrutable, but he, after all of that time, showed thanksgiving. 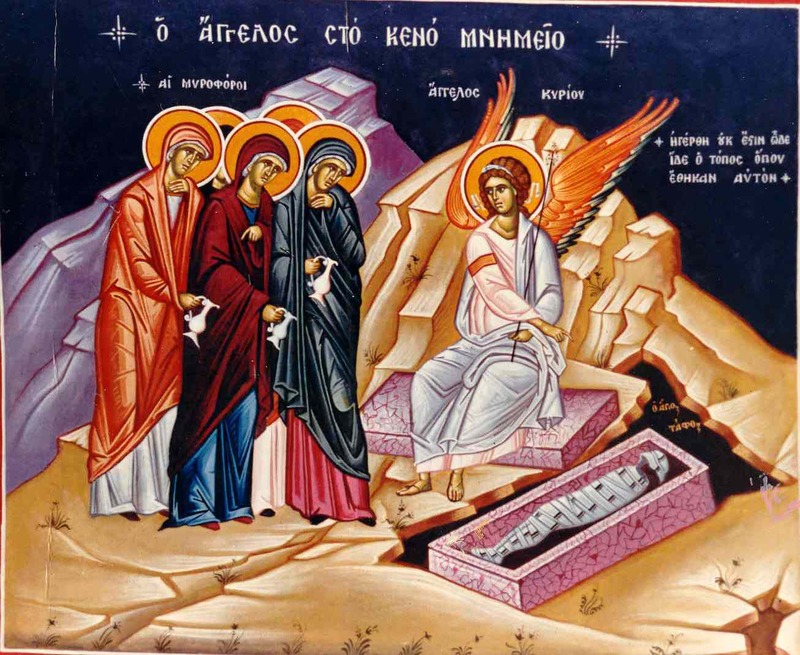 Why was the Angel seated on the stone at the Resurrection of Christ? Every word of the Holy Scriptures is placed appropriately with deep meaning, and we can perceive this if we struggle to obtain the humility and the illumination of the Fathers to understand how this is so. 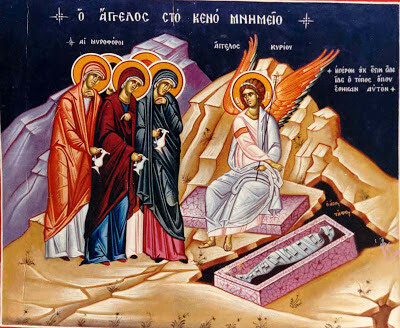 In the following short excerpt from St. Romanos the Melodist's Kontakion on the Resurrection of Christ (the beginning of which, "Though you descended into the grave, O Immortal One..." is still included in the Paschal service), he explains the significance of why the Angel was seated on the stone after Christ's Resurrection. "Truly, the Lord has risen, as you said. Ever remain seated and speaking? He Who grants resurrection to the fallen." The resurrection of the Lord is the regeneration of human nature. It is the resuscitation and re-creation of the first Adam, whom sin led to death, and who because of death, again was made to retrace his steps on the earth from which he was made. The resurrection is the return to immortal life. Whereas no one saw that first man when he was created and given life—because no man existed yet at that time—woman was the first person to see him after he had received the breath of life by divine inbreathing. For after him, Eve was the first human being. Likewise no one saw the second Adam, who is the Lord, rise from the dead, for none of his followers were near by and the soldiers guarding the tomb were so shaken that they were like dead men. 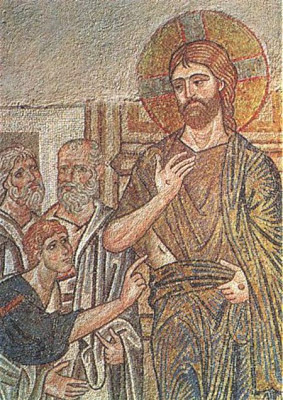 Following the resurrection, however, it was a woman who saw Him first before the others, as we have heard from Saint Mark’s Gospel today. After his resurrection Jesus appeared on the morning of the Lord’s Day [Sunday] to Mary Magdalene first. It seems that the Evangelist is speaking clearly about the time of the Lord’s resurrection - that it was morning - that he appeared to Mary Magdalene, and that he appeared to her at the time of the resurrection. But, if we pay some attention it will become clear that this is not what he says. Earlier in this passage, in agreement with the other Evangelists, Saint Mark says that Mary Magdalene had come to the tomb earlier with the other Myrrhbearing women, and that she went away when she saw it empty. Therefore, the Lord had risen much earlier on the morning on which she saw him. But wishing to fix the time more exactly, he doesn’t say simply “morning,” as is the case here, but “very early in the morning.” Thus the expression “and the rising of the sun” as used there refers to that time when the slightest light precedes from the east on the horizon. This is what Saint John also wants to indicate when he says that Mary Magdalene came to the tomb in the morning while it was still dark and saw the stone pulled away from it. According to Saint John, she did not come to the tomb alone, even though she left the tomb without yet having seen the Lord. For she ran to Peter and John, and instead of announcing to them that the Lord was risen, told them that he had been taken from the tomb. Therefore, she did not yet know about the resurrection. It is not Mary Magdalene’s claim that Christ appeared to her first but that he appeared after the actual beginning of the day. There is, of course, a certain shadow covering this matter on the part of the Evangelists that I shall, through your love, uncover. The good news of the resurrection of Christ was received from the Lord first, before all others, by the Theotokos. This is truly meet and right. She was the first to see him after the resurrection and she had to joy to hear his voice first. Moreover, she not only saw him with her eyes and heard him with her ears but with her hands she was the first and only one to touch his spotless feet, even if the Evangelists do not mention these things clearly. They do not want to present the mother’s witness so as not to give the nonbelievers a reason to be suspicious. In that now my words about the joy of the risen one are directed to believers, the opportunity of this feast moves us to explain what is relative to the Myrrhbearers. Justification is given by him who said: There is nothing hidden that shall not be made known, and this also will be made known. And the women, also, who had come with him from Galilee, followed after, and beheld the sepulcher and how his body was laid. These women were Mary Magdalene, Joanna, Mary the mother of Iakovos, and the other women who were with them. He writes that they went and bought spices and myrrh; for they did not yet clearly know that he is truly the perfume of life for those who approach him in faith, just as he is also the odor of death for those who remain unbelievers to the end. They did not yet clearly know that the odor of his clothes, the odor of his own body, is greater than all perfumes, that his name is like myrrh that is poured out to cover the world with his divine fragrance. For those who wanted to remain close by the body, the contrived an antidote of perfumes for the stench of decomposition and anointed it. Mary Magdalene and the other Mary–who was, of course, the Mother of the Lord-went to look at the sepulchre. 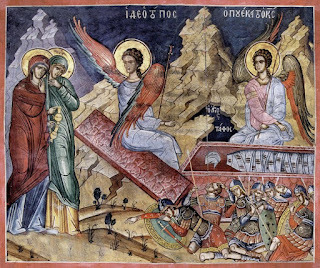 And behold there was a great earthquake: for an angel of the Lord descended from heaven, and came and rolled back the stone from the door of the tomb and sat upon it. His countenance was like lightening and his raiment white as snow. And for fear of him the guards did shake and become like dead men. The other women came after the earthquake and the flight of the guards, and found the grave open and the stone rolled back. The Virgin Mother, however, was there when the quake occurred, when the stone was rolled back, when the grave opened, and while the guards were there, even though they were completely shaken with fear. That is why the guards immediately thought of fleeing when they came to from the earthquake but the Mother of God rejoiced without fear at what she saw. I believe that the life-bearing grave opened first for her. For her and by her grace all things were revealed for us, everything that is in heaven above and on the earth below. 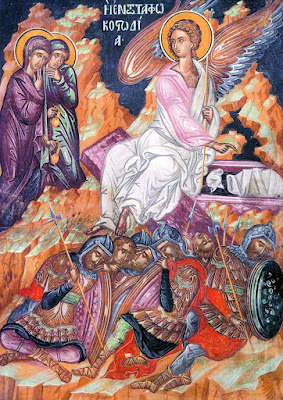 For her sake the angel shone so brightly so that, even though it was still dark, she saw by means of the bright angelic light not only the empty grave but also the burial garments carefully arranged and in an orderly fashion, thereby witnessing in many ways to the resurrection of the one who was entombed. He was, after all, that same angel of the Annunciation, Gabriel; he watched her proceed rapidly towards the grave and immediately descended. He who in the beginning had told her “fear not, Mary, you have found grace with God,” now directs the same exhortation to the Ever Virgin. He came to announce the resurrection from the dead to her who, with seedless conception, gave him birth; to raise the stone, to reveal the empty grave and the burial garments, so that in this manner the good news would be verified for her. He writes: And the angel answered the women and said: fear not. Do you seek the Christ whom they crucified? He is risen. Here is the place where the Lord was placed. If you see the soldiers overcome with fear, do not be afraid. I know that you seek the Christ whom they crucified. He is risen. He is not here. For not only can He not be held by the keys, the bars, and the seals of hell, of death, and of the grave, but he is even the Lord of the immortal angels of heaven, and the only Lord of the whole world. See the place where the Lord lay. Go quickly and tell his disciples that he is risen from the dead. And they departed, he says, with fear and great joy. At this point I am of the opinion that Mary Magdalene and the other women who had come up to that point were still frightened. For they did not understand the meaning of the angel’s powerful words nor could they contain to the end the power of the light so as to see and understand with exactitude. But I think that the Mother of God made this great joy her own, since she comprehended the words of the angel. Her whole person radiated from the light in that she was all pure and full of divine grace. She firmly appropriated all these signs and the truth and she believed the archangel, since, of course, he formerly had shown himself to be worthy of trust for her in other matters. And why shouldn’t the Virgin understand with divine wisdom. what had occurred in that she observed the events at first hand? She saw the great earthquake and the angel descending from heaven like lightening, she saw the guards fall as dead men, the removal of the stone, the emptying of the tomb, and the great miracle of the burial garments which were kept in place by smyrna and aloes, even though they contained no body. In addition to all of these things, she saw the joyous countenance of the angel and heard his joyful message. But Mary Magda-lene, in responding to the annunciation, acted as if she had not heard the angel at all–he had not in fact spoken directly to her. 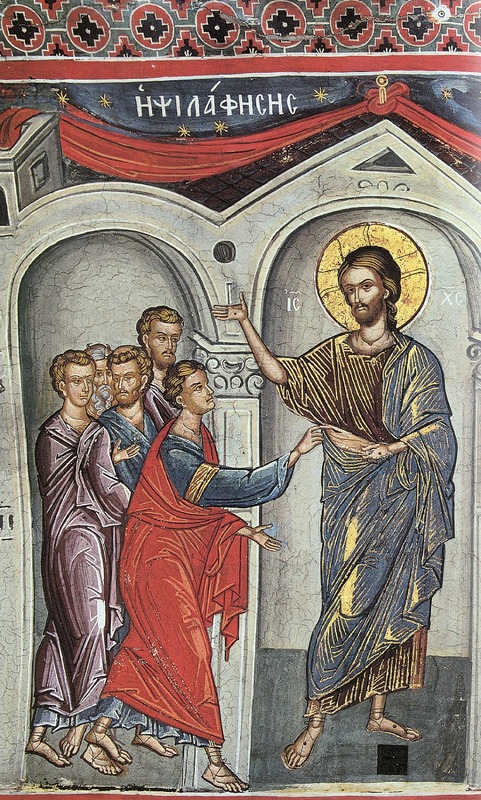 She testifies only to the emptying of the tomb and says nothing about the burial garments, but runs directly to Peter and to the other disciples, as Saint John says. The Mother of God went back to the tomb again when she met the other women and, as Saint Matthew says, behold Jesus met them and told them to rejoice. So you see that even before Mary Magdalene, the Mother of God saw Him who for our salvation suffered and was buried and rose again in the flesh. And they approached, touched his feet and worshipped him. She runs to Peter Simon and the other disciple whom Jesus loved and tells them: they have taken the Lord from the tomb and we don’t know where they have put him. 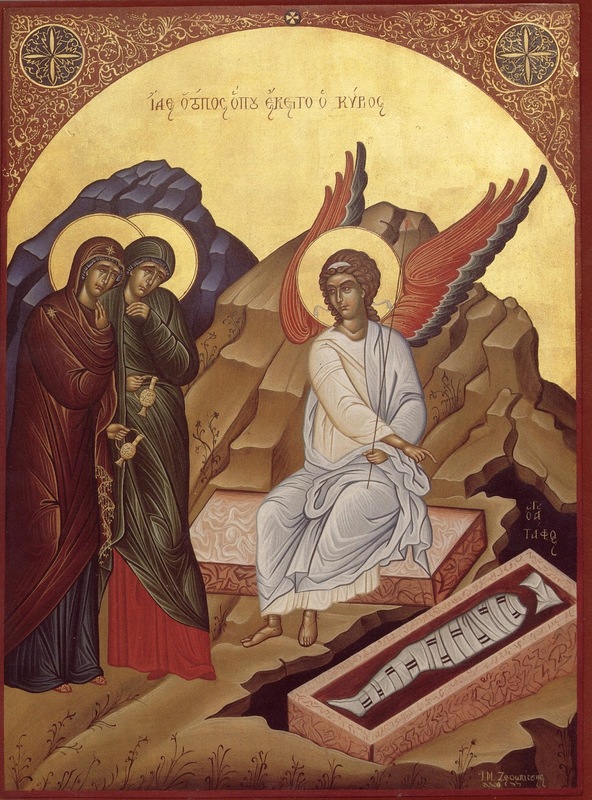 If she had seen and touched him with her hands and heard him speak, how could she say the words “they have taken him and placed him elsewhere, and we don’t know where?” But after Peter and John ran to the grave and saw the burial clothes and returned, Saint John says that Mary Magdalene was standing near the tomb and crying. You see that not only had she not yet seen him but neither had she been informed of the resurrection. And when the angels that appeared asked her “why are you crying, woman,” she again answered as if she thought that he was dead. Thus when, upon turning, she saw Jesus and still did not understand, she answered his question “why do you weep” in the same manner. Not until he called her by her name and showed her that he was the same did she understand. Then, when she also fell down before him wishing to kiss his feet, she heard him say: “Don’t touch me.” From this we understand that when he appeared previously to his mother and to the women who accompanied her, he allowed only his mother to touch his feet, even if Matthew makes this a common concession to all the women. He did not wish, for the reason we mentioned in the beginning, to suddenly present the appearance of the mother into the issue. It was the Ever Virgin Mary who came to the grave first and she was the first to receive the good news of the resurrection. Many women then gathered and they also saw the stone rolled back and heard the angels, but they were separated on their return. As Saint Mark says, since they were afraid, some of the women left the tomb in a frightened and ecstatic state without saying anything to anyone. Other women followed the Mother of the Lord and because they happened to be with her they saw and heard the Lord. Mary Magdalene left to go to Peter and John, and with them was returning to the grave. And even though they left, she stayed and she also was made worthy to see the Lord and to be sent by him to the apostles. Thus, as Saint John says, she again comes to them shouting to all that she had seen the Lord and that he had told her these things. And Saint Mark says that this appearance happened in the morning, the indisputable beginning of the day, when the dawn had passed. But he does not contend that the resurrection of the Lord occurred at that time, nor that it was his first appearance. 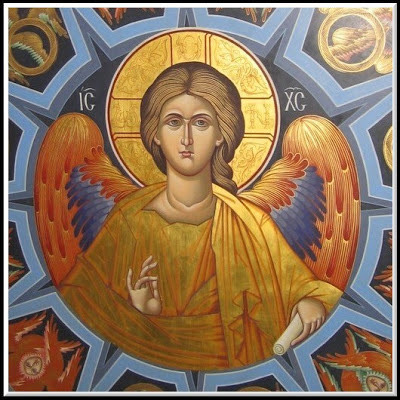 Therefore, we have information concerning the Myrrhbearers that is exact and the general agreement of the four Evangelists as a higher confirmation. But even with all that they had heard on the same day of the resurrection from the Myrrhbearers, from Peter, and even from Luke and Cleopas that the Lord lives and that they had seen him, the disciples showed disbelief. That is why He castigates them when he appeared to all of them gathered together. When, however, he showed them many times through the witness of many that he was alive, not only did they all believe but they preached it everywhere. Their voice poured out on all the earth and their words spread to the ends of the earth; and the Lord worked with them and confirmed his word by signs that accompanied it. For until the teaching is preached to all the earth, the signs were indispensable. Exceptional signs were needed to represent and certify the truth of the message. But excellent signs are not needed for those who accept the word through firm belief. Who are these [who have firm belief]? They are those whose deeds bear witness [to their faith]. ‘’Show me your faith in your deeds,” he says. “Who is faithful? Let him manifest it with the deeds of his good life.” For who will believe that he who commits wicked acts and is oriented to the earth and material things has a true, exalted, great, and heavenly under-standing which is, so to speak, exactly what piety is? Brethren, what does it profit a man to say that he has divine faith if he does not have deeds analogous to the faith? What did the lamps profit the foolish maidens when they had no oil, in other words, the deeds of love and of compassion? What did it profit that rich man who, when he was burning in the unquenchable flame because of his indifference to Lazarus, invoked the father of Abraham? What did it profit that a man to accept an invitation to the divine wedding and that incorruptible bridal chamber when he did not have a suitable garment of good deeds? Of course, in so much as he believed anyway, he received an invitation and went to sit amongst those holy ones who were at the banquet. But he also received the examination and was ashamed because he was clothed in the wickedness of his attitude and works, through which his hands and feet were tied and he was lowered to Gehenna where wailing and gnashing of teeth reverberates. May no one who has the name of Christ experience [such a thing]. Rather let us all manifest a life analogous with the faith and enter the bridal chamber of unstained joy and eternal life with the saints, which is the resting place of all who perceive the true joy. Touching Christ, he cried out: "My Lord and my God." Jesus said to him: "Because you have seen me, Thomas, you have believed." Paul said: "Faith is the guarantee of things hoped for, the evidence of things unseen." It is clear, then, that faith is the proof of what can not be seen. What is seen gives knowledge, not faith. 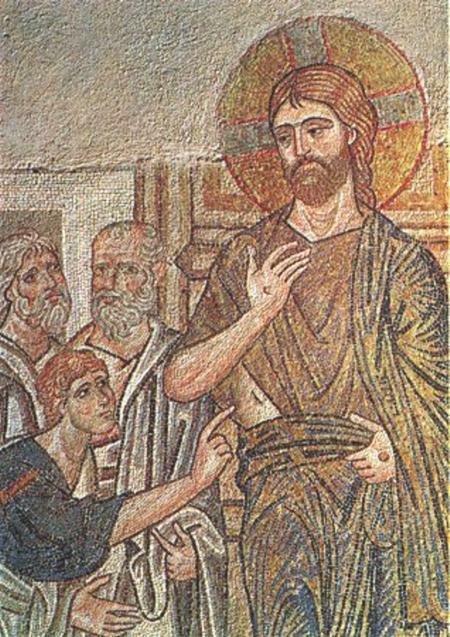 When Thomas saw and touched, why was he told: "You have believed because you have seen me?" Because what he saw and what he believed were different things. God cannot be seen by mortal man. Thomas saw a human being, whom he acknowledged to be God, and said: "My Lord and my God." Seeing, he believed; looking at one who was true man, he cried out that this was God, the God he could not see. What follows is reason for great joy: "Blessed are those who have not seen and have believed." There is here a particular reference to ourselves; we hold in our hearts One we have not seen in the flesh. We are included in these words, but only if we follow up our faith with good works. The true believer practices what he believes. But of those who pay only lip service to faith, Paul has this to say: "They profess to know God, but they deny him in their works." Therefore James says: "Faith without works is dead." Beloved brothers, so Bright Week has passed and taken with it our deeds to the throne of the Heavenly Master and Judge: there, brothers, there are our deeds now. I say this in order to frighten with the fear of the heavenly judgment those who unworthily, not Christian-like, spent the feast of the bright Resurrection of Christ and to comfort those who spent it with temperance and spiritual joy. How did very many spend the feast of the bright Resurrection? I would not like to call to remembrance foul human deeds but they, together with those that performed them, need to be remembered and judged on behalf of God. The all-bright feast was met, after the bright Paschal service, with dark deeds: intemperance and drunkenness, fights, cursing, and all types of sin. Consider that we fasted before the feast only in order to, with even more eagerness, rush into all fleshly, sinful deeds so that we can unashamedly and with insolence indulge in every iniquity. Alas! Woe unto us! All those who met the feast with intemperance and drunkenness, adultery, cursing, and other similar deeds of the flesh lost all the benefit which they had received (if they even received any) from the fast, lost the benefit from repentance and communion of the Holy Mysteries, trampled them as an unreasonable animal under their feet, lost the acceptable time for salvation, given them by the mercy of the Lord, time which will not be returned. It was proper to say to you during the fast, behold, now is the accepted time; behold, now is the day of salvation (2 Cor. 6:2) for it was just then that you had come to the saving font of repentance and to the all-cleansing, true Mysteries of the body and blood of the Lord. Now your confession and communion is put off until the next fast but who knows if the Lord will vouchsafe you to again confess and commune? Who knows if you will repose in those very iniquities with which again, after the font of repentance, you have defiled yourself? How painful, how piteous, beloved brothers, that so soon you have turned out to be betrayers of Christ and have given yourself over to the devil to serve him, the original murderer, the author of, and instructor in of every type of sin! You are, using the words of the Savior, and I, a great sinner, am as well are of your father the devil, and the lusts of your father ye will do (John 8:44). What, then, remains for us to do, beloved brothers? To pray and weep for our sins. To weep that not Christian-like and not even human-like did many of us meet the feast but like vile idol worshipers and like wild animals, which have not been fed for a long time with their favorite food. To weep that we have trampled upon the great, soul-saving Mysteries of Christ, that is, repentance and communion, and counted them as nought. To weep that the time, given for salvation, we have thoughtlessly lost. May we weep and pray to the Lord that He “not become angry with us neither destroy us with our iniquities” (first morning prayer) but would return us to the way of repentance and make us skilled performers of His commandments. Let us firmly decide from now on not to give ourselves over to intemperance and drunkenness and all the sins which follow, and with tears ask the Lord that He, with the Grace of the Holy Spirit, would strengthen us in our intentions and good deeds. Brothers! May we all shed tears for we all unworthily met the great feast of the Lord and angered our Lord; not in this way, not in this way indeed, should we meet the feasts of the Lord. We need to meet them with spiritual joy in the Lord, for our deliverance from sins and for our eternal salvation through Christ, the Son of God, with deeds of mercy, temperance from passions, visiting the church of God in spirit and truth and with simplicity in food and clothing. O, you, decorated with gold and a multitude of precious fabrics, women and maids! In the name of the Lord, I direct my speech to you! What a multitude of poor would you have been able to cause to rejoice on the all-bright day of the Resurrection of Christ and, in that way, worthily meet that great feast, if you would have, in generosity and Christian love, changed even a few of these decorations into money and given that money to the poor who are so many in our city? Would it not have been reasonable, in a Christian way, if you had fewer precious clothing and the money remaining you had given to the poor? What rich mercy would you have received on that day from Christ the Lord? Yes, truly Christian-like would you have then met the feast of Christ’s Resurrection. But now what? You are decorated like idols but the members of Christ are without clothes; you are satiated but the members of Christ are in want; you roll in every possible pleasure but those are in tears; we are in rich and decorated dwellings but those are in cramped conditions and uncleanness, in dwellings which are often not any better than a pigsty. We do not have Christian love and, therefore, there is no true feast of the Resurrection of Christ, for those truly celebrate the Resurrection who himself is raised from dead deeds to deeds of virtue and Christian faith and love, trampling on intemperance, luxury, and all of the passions. Brothers! May we celebrate the feasts of the Lord as Christians and not as pagans! Amen. Note: Between 1821 and 1830, Mount Athos was occupied by Turkish soldiers. They eventually left the Holy Mountain on St. Thomas Sunday, which is an additional reason why all of the Athonite Fathers celebrate this feast with such rejoicing. Below is a beautiful quote of Elder Paisios attributing this to the Panagia. He prayed once with pain to the Panagia, and he beheld a woman approaching—it was the Panagia—who shone and whose face was radiating light. Like the Panagia Portaitissa, the Glykophilousa Icon is one of those which were saved during the iconoclastic period and brought miraculously to Mount Athos. It originally belonged to Victoria, the devout wife of the senator Symeon. Victoria was one who venerated the holy icons, especially that of the Most Holy Theotokos, before which she prayed each day. Her husband was an iconoclast who found her piety offensive, for he, like Emperor Theophilos (r. 829-842), found the veneration of icons distasteful. Symeon told his wife to give him her icon so that he could burn it. In order to save the icon from being destroyed, she threw it into the sea, and it floated away standing upright on the waves. 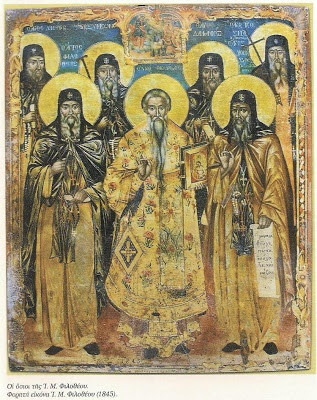 After a few years, the icon appeared on the shores of Mount Athos near the Monastery of Philotheou, where it was received with great honor and rejoicing by the Abbot and Fathers of the Monastery, who had been informed of its impending arrival through a revelation of the Theotokos. A spring of holy water sprouted forth on the very spot where they placed the icon on the shore. Every year on Monday of Bright Week there is a procession and blessing of water. Numerous miracles have occurred. 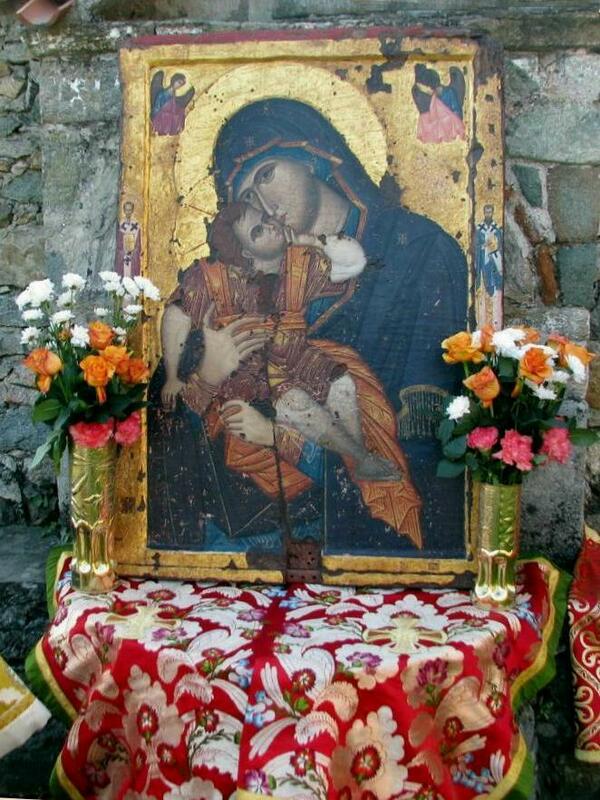 Although there are many miracles of the Glykophilousa Icon, we will mention only a few. In 1713, the Mother of God answered the prayers of the devout Ecclesiarch Ioannikios, who complained about the poverty of the monastery. She assured him that she would provide for the material needs of the monastery. Another miracle took place in 1801. 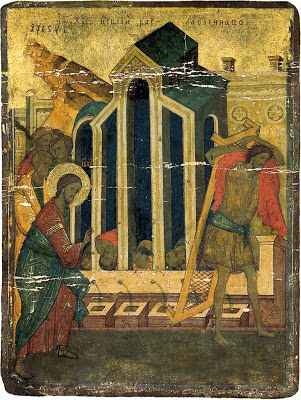 A pilgrim, after seeing the precious offerings (tagmata) hanging from the icon, a certain pilgrim planned to steal them. He stayed in the Temple after the Ecclesiarch closed it. Then he stole the offerings and left for the port of Iveron Monastery. There he found a boat that was leaving for Ierissos. After a while the ship sailed, but despite the excellent weather, it remained stationary in the sea. When the Ecclesiarch saw what had happened, the abbot sent monks out in various directions. Two went to the port of Iveron and when they saw the immobile ship, they realized what happened. Getting into a boat they went to the ship came aboard. The guilty man who committed this fearful sacrilege asked for forgiveness. The monks were magnanimous and did not want the thief to be punished. A pilgrim from Adrianopolis visited Philotheou Monastery in 1830. He listened attentively to a monk tell the story of the holy Icon and the miracles associated with it, but he regarded the account as a fictitious tale which only a child might believe. The monk was grieved at the man’s unbelief, and tried to persuade him that everything he had said was absolutely true. The unfortunate pilgrim remained unconvinced. That very day, as the pilgrim was walking on an upper balcony, he slipped and began to fall. He cried out, “Most Holy Theotokos, help me!” The Mother of God heard him and came to his assistance. The pilgrim landed on the ground completely unharmed. The Glykophilousa Icon belongs to the Eleousa (the Virgin of Tenderness) category of icons, where the Mother accepts the affection shown by the Child Christ. The icon is commemorated by the Church on March 27 and also on Bright Monday. The icon depicts the Theotokos inclining toward Christ, Who embraces her. She seems to be embracing Him more tightly than in other icons, and her expression is more affectionate. The Icon is located on a pillar on the left side of the katholikon (main church). The Holy Monastery of Philotheou stands among chestnut trees on a plateau on the north-eastern side of the peninsula, near the ancient Temple of Asclepius. It was founded by the Blessed Philotheus, a contemporary of St Athanasius the Athonite, around the end of the 10th century. Among the Byzantine Emperors who made donations to the Monastery, the names of Nicephorus Botaneates in the 11th century, Andronicus II and Andronicus III and John V in the late 13th and in the 14th century stand out. 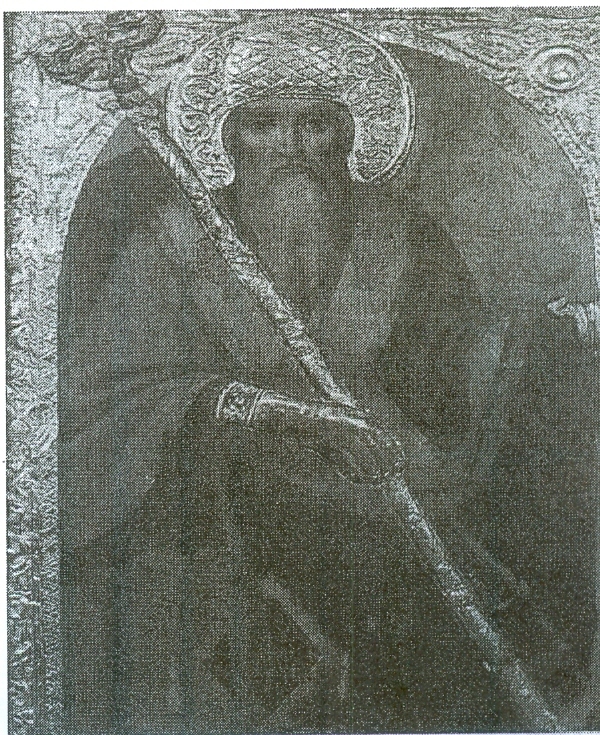 Among Serbian princes, Stefan Dushan (1346) helped to provide the manpower for the Monastery. 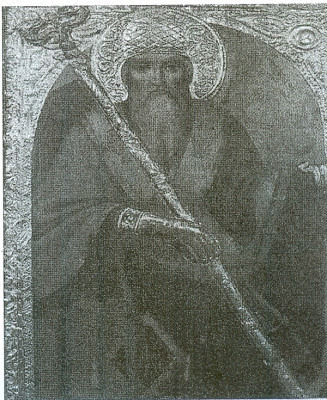 In the 14th century, St Theodosius, subsequently Metropolitan of Trebizond, and brother of St Dionysius, founder of the monastery of that name, was a monk in the Monastery. 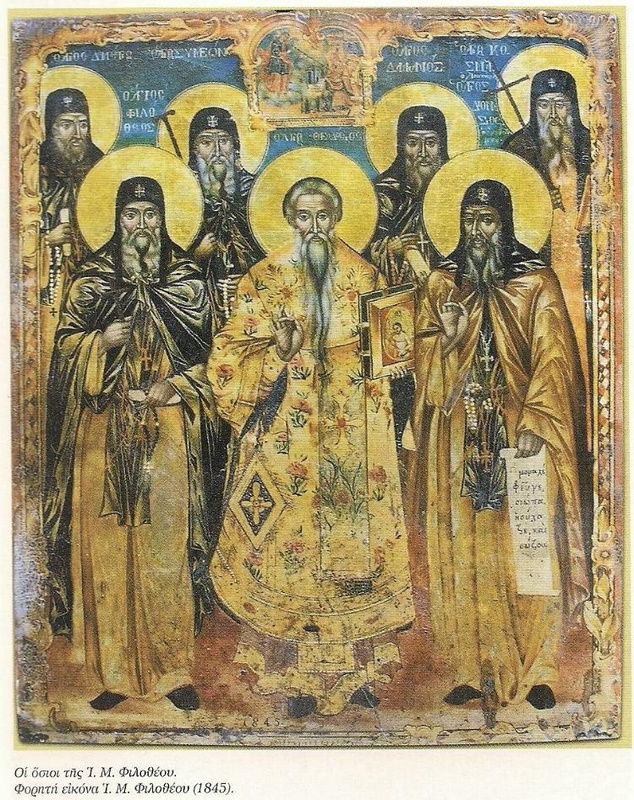 During the early years of Turkish rule, in the early 16th century, the Abbot Dionysios, known as the Blessed Dionysios of Olympus, succeeded in turning it from an idiorrhythmic into a coenobitic monastery. However, the reaction of Bulgarian-speaking monks was such that he was forced to leave the Monastery. In about the mid 17th century, the Tsars of Russia gave permission to the monks to go there every seven years on alms missions. The policy of support for the monasteries was also followed by the Greek princes of the Danubian provinces. Grigorios Ghikas was one of the Monastery's best known benefactors. In the 18th century the missionary of modern Greece St Cosmas the Aetolian was a monk at Philotheou. A fire which broke out in 1871 left unscathed the new katholikon, which had been built in 1746 on the foundations of an older church, but caused the Monastery economic problems, so that in 1900 the Holy Community took it under its guardianship. Of the other buildings of the Monastery, the holy water phiale is of fine white marble, and the refectory was extended in the 16th century. Philotheou has six chapels and three outlying chapels. Of its 12 kellia, half are now uninhabited. 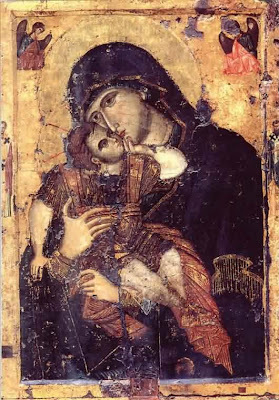 Philotheou prides itself on the possession of the miracle-working icon of Our Lady Glykophilousa, and of our Lady Gerontissa. Among the objects kept in the sacristy, pride of place goes to the right hand of St John Chrysostom, a piece of the True Cross, other relics of saints, vestments, and sacred vessels. The library contains 250 manuscripts, two liturgical scrolls, and about 2,500 printed books (of which some 500 are in Russian and Romanian). 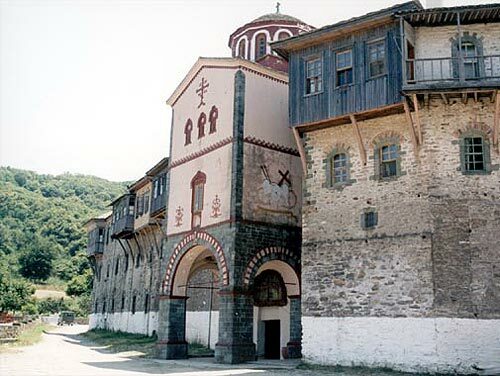 The Monastery is dedicated to the Annunciation of the Blessed Virgin, and since 1574 it has occupied twelfth place among the Athonite monastic foundations. Since 1973 its has followed the coenobitic system. At present it has about 60 monks. Selected hymns from the service of Panagia Glykophilousa (written by Fr. 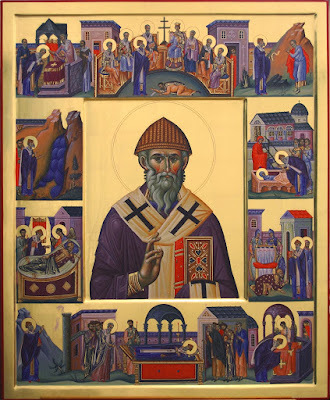 Gerasimos of Little St. Anne's Skete, of Blessed Memory), commemorated on the Sunday of St. Thomas (Antipascha) (amateur translations below). Who can rightly tell of your goodness towards us, the saving appearances and gifts, O Virgin Theotokos? For your Holy Icon wondrously passed over the waves and was granted to us as a divine treasure, and a pledge of salvation. Through your invisible presence, you care for us, and you drove back the foreign army that had troubled your Mountain***. Therefore, we celebrate a dual feast: the receiving of your wonderworking Icon, which we praise, and the deliverance from the tyrranical siege. We cry out to you: ever protect and keep us, as you are our protection and defender, as I call you the Most-blessed One. ***Note: On the Sunday of St. Thomas (Antipascha), all the Monasteries of Mount Athos commemorate the driving away of the Turks from the Holy Mountain. As the servant of the awesome mystery of the incarnation of the Word, O Ever-Virgin Theotokos, strange and paradoxical things were worked for our salvation within your womb, through your incomparable motherly goodness. For in your divine Icon, you appear full of sympathy, kissing as a mother, Him Who was incarnate through you, the Son and Word of God. This was given to us as a heavenly treasure, and was thus named “Glykophilousa”, as we celebrate its arrival, we cry out to you: Hail, O Full-of-grace, the Lord is with you, granting to us through you, the great mercy. Your holy Icon we praise as a very precious boast of Philotheou Monastery, for in it we behold you, O Pure One, kissing Christ as a babe, and we behold your great glory, O Virgin, and we cry out: glory to your great deeds, O Pure One, glory to your sympathy, glory to your providence for us, O Spotless One. To those who cry out: Hail, O Queen of All. On this day [The Sunday of St. Thomas], we commemorate the paradoxical receiving of the wonderworking Icon of the Most-holy Theotokos that is called “Glykophilousa”, which miraculously was granted to our holy Monastery of the Venerable Philotheos, during the reign of Theophilos the Iconoclast. 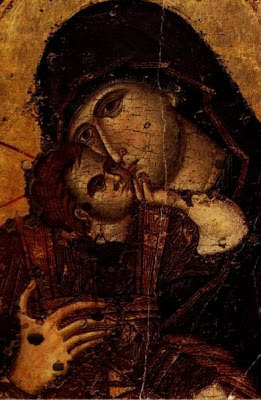 Rejoice, O divine Monastery of Philotheou, for you possess the sacred Icon of the Virgin, where she sweetly-kisses the Lord as an infant, and grants to all, grace and mercy. How A Cerebrally Dead Greek Young Man Was Reanimated! On Bright Tuesday of 17th May 2000, His Eminence the Metropolitan of Goumenissa, Axioupolis and Polykastron Mr. Demetrios, the local authorities and a multitude of pilgrims gathered at the Holy Monastery of Saints Raphael, Nicholas and Irene to celebrate the feast of these three Newly-Revealed Orthodox Saints. Closing his sermon to the congregation, the Metropolitan reported the personal testimony of pilgrims present at the congregation who had made public the outstanding experience of their miraculous healings by the Newly-Revealed Saints: Mr. Isaac Kapoulas – a policeman from Thessaloniki who had been cured from leukemia; Mrs. Aikaterini Tsotopoulou – a woman also from a suburb of Thessaloniki who had recovered from a severe craniocerebral injury; Mr. Stergios Ledas - a man from nearby Kilkis who had also recovered from heavy head injury; and Mr. Zacharias Georgousis from the local village of Vafeiohori who had been saved from an allergic shock. Following the procession of the holy relics of the three saints, the congregation met again to listen to the astounding account by a high school pupil from the Terpni village in the neighboring area of Nigrita, Serres and his mother. The young man named Apostolos Gazepis narrated his miraculous healing from the injuries of a traffic accident on 5/5/2000, although the doctors had given up every hope for recovery and had therefore tried to persuade his parents to consent for his vital organs to be donated. The firm faith of his mother who never stopped praying for eight days to the Newly-Revealed Saints Raphael, Nicholas and Irene outside the Intensive Care Unit contributed to the reanimation and full recovery of the patient that also had the honor to see the Saints. In her signed account of this overwhelming event, Mrs. Sophia Gazepi, mother of Apostolos, describes the tragic days until her son’s reanimation. It was on the 5th of May 2000, which was Bright Friday of the Zoodochos Pege, that her 17-year-old son Apostolos was riding a motorbike and crashed into a car. He was taken to the local hospital and then hurried to the General Hospital of Serres. Following a CT-scan of the head, the doctors informed the father that his son had suffered severe craniocerebral injury and, provided they managed to stabilize his cerebral pressure without further complications, there would be hope for recovery. On the following day Mrs. Sophia asked for books about the miracles of Saint Raphael and began reading them and praying day and night along with the relatives and neighbours that stood by her side. In those very few moments she was allowed into the Critical Care Unit, and she blessed her son with the blessed oil from the Saints’ church. The patient was attended by neurosurgeon Mr. Vogas. On the third day, the cerebral pressure rose high, the brain was bleeding and the young man was perishing. In their despair, his parents called for another specialist, although the attending doctor had reassured them that it was no longer a matter of medical care since the patient's condition was deteriorating. Dr. Nikolaos Baskinis was however brought from Thessaloniki, only to confirm the critical condition of the patient, especially regarding the heamatomas at the back of his head that made recovery doubtful. There was a faint hope if they operated on him, so the parents gave their consent. The operation revealed more wounds than the CT-scan and because the brain was swollen the doctors decided to leave the skull open and see what would follow. As soon as the neurosurgeons had left, the Hospital doctors announced to the parents that the young man was cerebrally dead. On Friday night, seven days after the accident, the Brain Death Determination Test was positive. The doctor on duty called the parents asking them to take courage and comfort themselves with their other child because Apostolos was dying since only his heart was beating. The mother was painfully praying to our Lord to bring her son to life as He had done with Lazarus. All through this time, the parents, relatives, fellow-pupils, friends and acquaintances had been ceaselessly praying for Apostolos. They had talked to the Saints’ monasteries on the island of Lesvos and in the nearby location of Griva, asking for a commemoration of the young man’s name in the services. On the previous Tuesday, Apostolos’s mother had gone to the Church of the Mother of God in the town of Serres to attend the Supplication Service (Paraklesis) to the three Newly-Revealed Saints. On Saturday there was the first evidence of relative improvement: seven Brain Death Confirmation tests were positive against two negative! By noon, his condition had further improved. Fateful visions seen by close relatives raised their hopes for the substantial assistance of the Virgin Mary and the Newly-Revealed Saints. After the 13th of May 2000, Apostolos started to recover. The neurosurgeon asked them to call him ‘Lazarus’ after that, because he had actually been ‘risen’ from death. One night Apostolos himself saw Saint Nicholas the Deacon in a vision talking to his father: "You have gone to so many doctors; why haven’t you come to me too?" His father answered: "How are you going to heal this?" and the Saint replied: "You know how." In a second vision, Apostolos found himself in a chapel with icons and a table in the centre with the decapitated head of Saint Raphael. As he hesitated to approach the table, the Saint appeared in full form before him and told him how many times he had attended church lately, then grasped his arm, recited a prayer, and at this touch Apostolos’s arm was illuminated. His arm recovered fully in a short time! 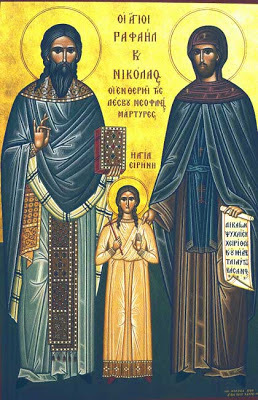 In the life of Saint Symeon the New Theologian (written by Saint Nikitas Stethatos) we read: “The real visions remain in the mind for many years later, even until the end of life, as these had originally been revealed. Saint Gregory the Theologian testifies to that in his speech to Ceasarios ... And when he saw something related to his ill mother, the outcome proved that the vision had been real." This article first appeared in Greek in issue no. 96 of 'Epaggelia' [‘The Promise’], the newsletter of the Holy Diocese of Goumenissa, Axioupolis and Polykastron, in May 2001. On Lesvos, ye strove in contest for the sake of Christ God; ye also have hallowed her with the discovery of your relics, O blessed ones. O God-bearer Raphael, with thee, we all honour Nicholas the deacon and Irene the chaste virgin, as our divine protectors, who now intercede with the Lord. Ye shone on the world like stars first as ascetics, then as athletes slain for Christ, and were translated to the heights through the great torments that ye endured; and them that praise you, ye keep and protect, O Saints.